France in London | Interview with Luc Jacquet on "The Fox and the Child"
Interview with Luc Jacquet on "The Fox and the Child"
After the major success of his first film “March of the Penguins”, Luc Jacquet comes back with a touching tale “The Fox and the Child”. 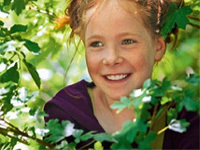 The film deals with a beautiful friendship between a little girl and a fox. Moreover, shooting is as superb as in “March of the Penguins” and so are the animal scenes. All of this is topped off by a beautiful moral philosophy: love doesn’t mean possession. Luc Jacquet wanted “to show the benefits from patience and freedom during the childhood”: a true life lesson and a beautiful Christmas gift. And yet it doesn’t work. In fact the movie has some overly long passages and often comes dangerously close to re-hashing over-sentimental cliches. This, of course, seen from an adult perspective; the real question is whether children will be able to endure and even enjoy the movie despite its lack of action. I have my doubts. And as far as adults are concerned they certainly might become rapidly fed up with slightly too beautiful story which is so hard to believe in and with its omnipresent voice-over which prevents them from enjoying the beauty of the landscapes. This was my first reaction, but speaking with Luc Jacquet almost convinced me to take another look. Judge for yourself! After “March of the Penguins”, you come back with a second movie which turned out to be very different, intimate and fictional. Why such a change? I love to apprehend different worlds and film-making gives me the opportunity of discovering the natural diversity of things. I don’t feel like spending my entire career filming the Antarctic. On the contrary I aim to find different topics and points of view. After showing something amazing far far away in the “March of the Penguins” ,I wanted to show it “au pas de notre porte”. The thing is: with good-will and imagination, adventure can take place everywhere. It only depends of your state of mind. The point is extremely different too: almost anthropomorphic in “March of the Penguins”, this time it seems, on the contrary, that you wanted to emphasise the border not to cross between men and animals. I didn’t mean to be anthropomorphic in “March of Penguins”, I just wanted spectators to realise some stakes, which are scientifically proven. I aim to speak to people and the important thing is to make them understand a message. 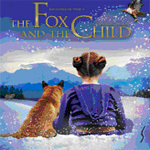 “The Fox and the Child” deals with the story of a little girl and a fox, I wanted to show their respective feelings. What has inspired you for this story? This movie is largely autobiographical. I grew up in the Ain, the French region where the movie has been shot and I was lucky enough to be as free as my character, to meet animals and to form my own opinions, without being influenced. The scene when the little girl spends the night in the forest is an echo of something I loved to do: listening to sounds of nature in the dark and letting my imagination run wild. 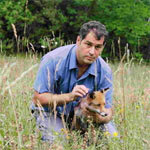 Moreover as I was travelling across the globe to film animals, I had to tame them myself. That’s why I am very familiar with the small pleasures the girl feels whenever she’s doing progress with her fox. Watching this story about a little girl taming a fox and being tamed in return, one can’t stop thinking about “The Little Prince” written by Antoine de Saint Exupéry. Is that one of your references? “The Little Prince” is of course a major text for me. However we are not in the same vein. In “The Fox and the Child”, I’m trying to get as close as possible to reality. It’s not metaphorical but real. However, you do sometimes take the liberty of transforming reality. For instance the night in the forest is really quite fantastical. In fact I feel like I’m an impressionist. Sometimes to describe a feeling, you have to make place for senses. On the contrary, doing this helps me to stick to nature more accurately. There are some incredible scenes with animals. 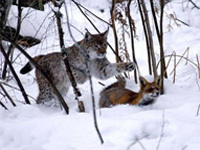 I think about the chase between the fox and the lynx. It must have been so difficult to shoot. Sure, but what a pleasure! Shooting such scenes is a veritable challenge. Moreover, I only use natural light. The thing is, I refuse to give something “déjà vu” to the audience. It has to be extraordinary. Patience is required but it's worth it. I already felt this joy when I was directing “March of the Penguins”. However, this time, in addition to animals and luminance, I had a new matter: I had to direct a child. It’s true that she was not always concentrated but I feel so lucky to have seen the rise of an actress. In fact I find my pleasure in all theses challenges. The portrait of the little girl you have drawn is totally unusual. Patient, strong-minded, determined and a risk-taker she doesn’t fit with the common image of a child of today who appears both over-protected and spoiled, wanting it all immediately. Did you want to deliver a specific message? Exactly. I wanted to show the benefits of patience and freedom for children. They have to do their own experiments and nowadays they are over-protected and, therefore, bridled. This is really important for me since, like I said, I grew up like this little girl and that’s why I can still rise above myself today. Children need adults to let their hopes, their quests and imagination grow. That is the best way of teaching them how to live. My 3 year old daughter loves this film and so do I. It is beautiful. I was very enchanted by the scenery in this film, it is a very good piece of work to let viewer having a chance to view a wonderful place like this one. Please keep this type of good work and looking for more film to be from the producer ! My 8 year old daughter loved the fox and the child, she was very affected by it in fact, she couldnt stop thinking about it, she did find it very sad though, she wished for a happier out come. I dont think it was too slow or un realistic compared to many other films, it was at a slightly different pace but still enthralling and Poppy loves fast animation films too and can be restless, however because she loves animals and the surroundings of where this fim was shot are so beautifull, it wasnt too long for her at all, im sure many children would enjoy it. We also watched the 'little prince' which is a very old film but is still so full of the wisdom children still crave but is missing sometimes from modern childrens entertainment.